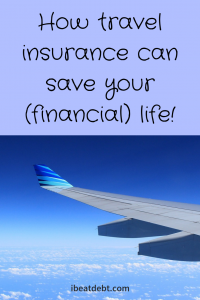 How travel insurance can save your (financial) life! Travel insurance is an essential for any traveller. Whilst I actively advocate saving money on pretty much anything and everything possible, there are some major exceptions and insurance is one of those things that you shouldn’t scrimp on. Pet insurance is one thing that I know can be quite frankly a life saver. With travel insurance, because is it a person being treated, more often than not the person will be treated anyway, but then left with insane medical bills. With the advent of comparison sites, you can get great cover at a super low price, and so in my opinion there is no excuse not to have . It’s not so much about medical expenses, as some people are so rich that they would only be a drop in the ocean for them, but it’s more about the bigger picture. The cost of repatriation can be in the region of £17,000 (although it can be much more or less depending on the circumstances), and whether that’s because you need to be flown home for medical treatment, or because you’ve passed away and your family are bringing your body home, that is not a small cost. Would you really want to give that financial burden to your family or friends? I know of at least one person who needed to take out a loan in order to pay theirloved one’s medical bills to get them released from hospital, and that is before there was the cost of flying them home, complete with medical accompaniment. Whilst there is nothing wrong with taking out loans, being forced to take one out because a loved one was irresponsible can be a massive burden, mentally, emotionally as well as of course a financial one. It can put a massive strain on relationships too. For those not able to borrow the amount they need, this stress can be overwhelming, particularly when added to the fact that a loved one is ill in a foreign country, and they can’t afford to get to them, or get them home. When I see Gofundme pages or similar for people who haven’t got travel insurance and bad things have happened, I get annoyed. The person’s families are then forced to set up these pages begging for the money they need, and I’m afraid I I just feel that it is stupid and irresponsible to have put their loved ones in this position in the firts place. Admittedly however, what people spend their money on is their own business, and if you want to contribute to those costs then that is entirely up to you, but when it is something that could have been avoided entirely in the first place it does wind me up a bit. I know of someone who had a complete travel medical cost disaster this year. They had gone abroad and were visiting their cousin, staying in a European city. As they were only in Europe, and were principally visiting family, they had gone with no travel insurance and their EHIC (European Health Insurance Card) had expired! This person doesn’t have great health to start with, and yes I know declaring medical conditions can put up the cost of the policy, but it’s a small price to pay in the grand scheme of things. Whilst away, this person had a fall (something which is not uncommon with them). 36 hours later they were in so much pain, they took themself to the local version of Accident and Emergency. They were then diagnosed with four broken ribs and were hospitalised. They were wracking up medical bills faster than you can even begin to imagine. They weren’t able to fly, so a new flight home would also be needed to be purchased as well and that was on top of having to pay her medical bills, which for an inpatient stay was not cheap. They were able to get their cousin to go to her hotel and get her belongings from the hotel room, so she didn’t have to pay for extra nights when they weren’t staying there. Once she was discharged they still couldn’t to fly for a couple of weeks. Luckily, the cousin let them stay with her, but if they had been anywhere else, there wouldn’t have been a friend or relative nearby and they would have then been saddled with extra accomodation cost for an extended hotel stay as they wouldn’t have been able to check out of their room, or indeed fly home! This person was lucky that they only broke four ribs. 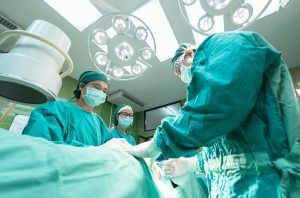 If it had been worse, or they had ended up with a punctured lung, it is a very real possibility that they would have needed to have been flown home, or had to have more extensive and longer hospital treatment. Either way, their family members would not have been in a position to pay those bills, and so they were suitably chastised (in a caring but firm way)! They have now been assured that this person will not travel without travel insurance again! We all seem to live in a world where we have the “It won’t happen to me” mindset, but for the sake of £10 (yes there really are policies that cheap) it really is not worth the gamble – and that’s whether you are on a short European city break, or backpacking across Asia for weeks on end! 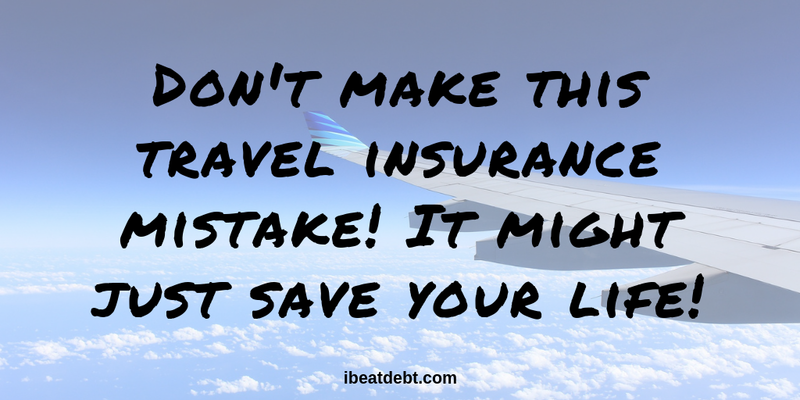 Travel insurance really can save your (financial) life!